Lisa Butler is a prominent make-up artist in the fashion industry. She regularly works on advertising campaigns, catwalk shows, fashion films, and editorials. She is responsible for the execution and design of make-up looks that appear on the covers and in editorials of publications like Vogue Paris, American Vogue, Vogue Italia, Vogue Nippon, Vogue UK, Arena Homme +, i-D, Numéro, Harper’s Bazaar, W Magazine, and V Magazine. Butler has also contributed to developing H&M's new cosmetics line, & Other Stories. Lisa Butler grew up in Chatham, Kent. In the early 1990s, Butler became known for her work in the advertising campaigns of Japanese designer, Yohji Yamamoto. Her looks have since appeared in fashion publications like Vogue, Times Style Magazine, Another Magazine, Interview, 25 Magazine, Self Service, LOVE Magazine, Vogue Korea, Vogue China, and Vogue Nippon Beauty. Her clients include luxury brands like Prada, Pucci, Missoni, Miu Miu, Lanvin, Isabel Marant, Balmain, Givenchy, Dior, Louis Vuitton, Juicy Couture, Nina Ricci, Bulgari, Ohne Titel, 3.1 Phillip Lim, Herve Leger, Roberto Cavalli, Zadig & Voltaire, Alexander McQueen, Jean Paul Gaultier, Yves Saint Laurent, and Chloé. 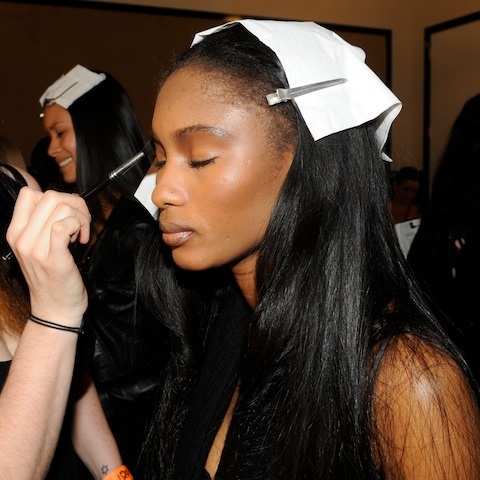 Butler has collaborated with TEMPTU utilizing specialized airbrushing tools to create subtly sculpted looks for contemporary fashion houses like Helmut Lang. This is a 'bare' aesthetic that Butler frequently applies for the catwalk in order to evoke a sense of modernity, and to draw attention to the clothing.Among her most notable works is a 70-page spread published in the 2008 Fall/Winter issue of Self Service magazine, for which Butler created multiple distinct looks drawing influence from Dalí and ancient Aztec and Incan gods.Often cited as “the make-up artist’s make-up artist”, Lisa Butler has been a prominent leader in the field of sophisticated fashion make-up for over three decades. A highly versatile practitioner with a seemingly inexhaustible visual range, she is equally fêted for the soft and iridescent “no make-up make-up” she creates for fashion shows by 3.1 Philip Lim or Herve Leger as the radical stencilled faces she created for the landmark fall/winter 2008 cover shoot for Self Service. Born in Chatham, Kent, UK, Butler developed her technique through experimenting on the punks, club luminaries and festival girls that made up the creative scene in which she socialised during the 1980s. Her sensitivity to shifts in style, coupled with her renowned technical ability led to opportunities to work on Yohji Yamamoto’s groundbreaking advertising campaigns of the early 1990s and iconic editorial collaborations with Corinne Day. These established Butler at the forefront of the new generation of visionary imagemakers who continue to set agendas in the fashion industry today. She has longstanding working relationships with many of the foremost photographers, such as Inez van Lamsweerde & Vinoodh Matadin, David Sims, Alasdair McLellan, Mert Alas & Marcus Piggott, Ryan McGinley, Paolo Roversi and Solve Sundsbo as well as with stylists Emmanuelle Alt, Melanie Ward, George Cortina and Jane How. In portraiture, Butler tends towards an approach she achieves by beginning with an optimum feature – a dramatic eye shading, for example – and then reducing emphasis elsewhere to ensure a subtly balanced look overall. In fashion make-up, Butler prefers to take inspiration from oblique references to clothes, their translucency or texture for example, rather than blindly matching their palette. Her knowledge of the latest products and technologies – most explicit in her use of airbrushing and collaboration with TEMPTU – meanwhile enable to execute a designer’s most ambitious concept. 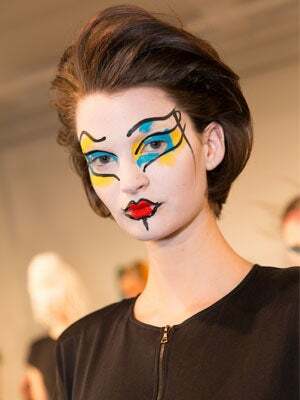 Her team is a popular choice for catwalk shows, therefore, and she has created make-up looks for designers including Prada, Pucci, Missoni, 3.1 Philip Lim, Herve Leger, Roberto Cavalli, Max Azria, BCBG and Tommy Hilfiger, among many others. Butler is responsible for many of the most influential looks in advertising campaigns for luxury brands over the years, including prestige clients Yves Saint Laurent, Chloë, Lanvin, Loewe, Philosophy di Alberta Ferretti, Isabel Marant and H&M, for whom she has also been collaborating on fashion films recently. 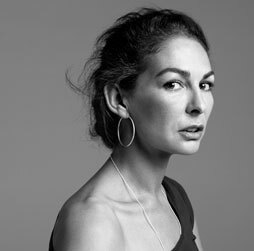 Her prodigious editorial work is also published in all of the finest international fashion publications, such as Paris Vogue, American Vogue, Italian Vogue, British Vogue, China Vogue and Japanese Vogue, W, Self Service, V, i-D, Numéro and Harper’s Bazaar.Throughout her career, Butler has collaborated with photographers, such as David Sims, Inez and Vinoodh, Karl Lagerfeld, Mario Testino, Mert and Marcus, Mikael Jansson, Nathaniel Goldberg, Alasdair McLellan, Paolo Roversi, Sølve Sundsbø, Patrick Demarchelier, Daniel Jackson, François Nars, Mario Sorrenti, Peter Lindbergh, Ryan McGinley, Willy Vanderperre, Terry Richardson, and Tim Walker.